Everyone's Played At The World Cup. What Do We Think We've Learned? With the completion of yesterday's matches, we are through one full rotation of the World Cup group stage. (Brazil and Mexico have played two.) Certainly that's sufficient action to make sweeping, premature pronouncements about the rest of the tournament, no? The second rotation is about separation; these are five enormous days coming up, as a few teams will be booking trips to the knockouts, a few others prematurely punching their tickets home, and fully half or more leaving their World Cup futures to their final group matches. So it's a good time to take stock of where we're at, and what we've changed our minds on after a single match. Here are the group standings, via FIFA.com. It's frustrating to see Mexico, who wouldn't even be here if not for a pointless and unlikely U.S. comeback, looking like solid bets to go through to the round of 16, while the USMNT has its work cut out for it. But it's hard to say Mexico haven't earned it. 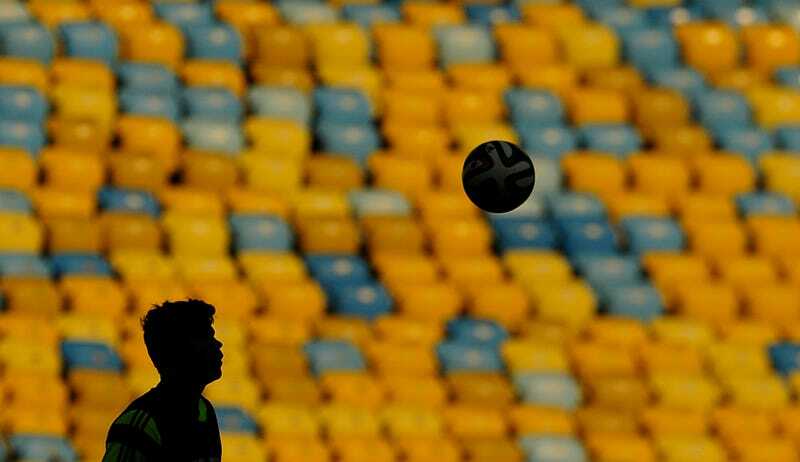 Clean-sheeting Brazil, in Brazil, ought to be worth automatic advancement. Instead, it'll likely come down to Mexico-Croatia next Monday for the group's second spot, with Croatia needing a win. A Dutch win today against Australia, and they'll all but guarantee themselves a spot in the knockouts. It's that second spot that should be fascinating. Spain, co-favorites who got embarrassed in their opening match, aren't winning any tiebreakers on goal differential. They can certainly go through (to a projected match with Brazil in the round of 16), but probably not without taking three points—and the head-to-head tiebreaker—from Chile today. I have no thoughts on this group. Best group. In the running with Group G for the Group of Death moniker, and in the clear for being named the Group of Entertaining Soccer™. Anyone could realistically come out of here—and it's damn shame that at least one of the big three will have to go home. This group's existence makes me mad. I still remember Steve McManaman's audible gasp during the draw when he realized what an easy path France had received. Not that France aren't good, but this could've been the U.S.'s competition instead. I don't mind giving Messi and Argentina three matches in which to run wild, but the fact that Iran and Nigeria are here, and the likes of Sweden are home, is almost as much a travesty as CONCACAF getting 3.5 (essentially four) berths. Based solely on that scoreless draw, I'd be shocked if Bosnia and Herzegovina don't take six points, more than enough to get BTFO by France in the next round. I've spent a couple of days racking my brain to figure out how the U.S. could advance with three points, and it's entirely possible. Figure Germany runs the group; a safe assumption. The U.S. would need Ghana to beat Portugal (seems likely, based on each's first matches), and would need to get less wrecked by the Germans than the Ghanaians do in order to win on goal differential. Given that Germany should be safely through after beating Ghana, this could totally happen. A U.S. draw against Portugal on Sunday would likely seal the deal, though, and be infinitely preferable for our blood pressures' sakes. Yeah, I got nothing here. Worth watching because if the U.S. make it through, their first date will be with the winner of Group H. Start getting your Belgium hate on. So that's where things stand. Surely you've also changed your mind on many things after less than a week of play. Who's beating Germany? Are the Netherlands legit? Are Spain as bad as they looked? Does any South American side have a chance? Please share your way-too-early World Cup takeaways below.